We received news earlier today that a detection of varroa mite had occurred in the Port of Melbourne on Wednesday the 27th of June 2018. The detection was made when a ship arrived at the port and was immediately investigated and treated by the Department of Agriculture and Water Resources (DAWR). 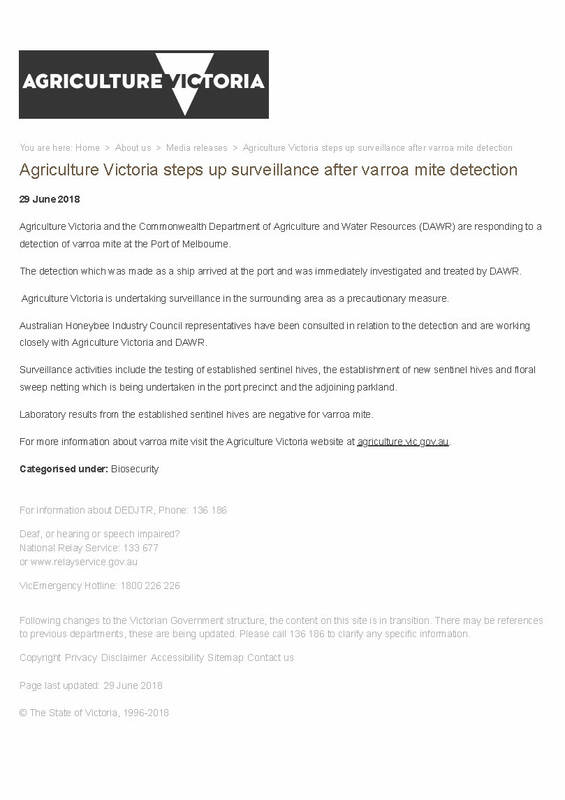 Please find the media release below that was issued by Agriculture Victoria earlier today. We are thankful for the swift action taken by the ships Master and department authorities in dealing with this detection. We will ensure any further updates are communicated with our members.